The Velvet Underground was an American rock band formed in New York City. First active from 1965 to 1973, their best-known members were Lou Reed and John Cale, who both went on to find success as solo artists. Although never commercially successful while together, the band is often cited by many critics as one of the most important and influential groups of the 1960s. 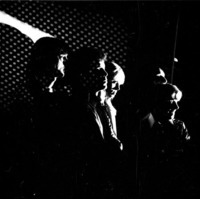 The Velvet Underground were managed by Andy Warhol and were the house band at his studio the Factory and for his Exploding Plastic Inevitable events. The provocative lyrics of some of the band's songs gave a nihilistic outlook to some of their music. Their 1967 debut album, titled The Velvet Underground & Nico (which featured German singer Nico, with whom the band collaborated) was named the 13th Greatest Album of All Time, and the "most prophetic rock album ever made" by Rolling Stone in 2003. In 2004, Rolling Stone ranked the band #19 on its list of the "100 Greatest Artists of All Time".